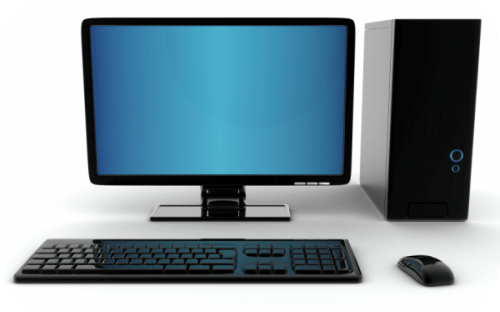 After purchasing a new system(Windows or Mac), take a note of few things while handling them. Make sure that the hardware is connected properly. 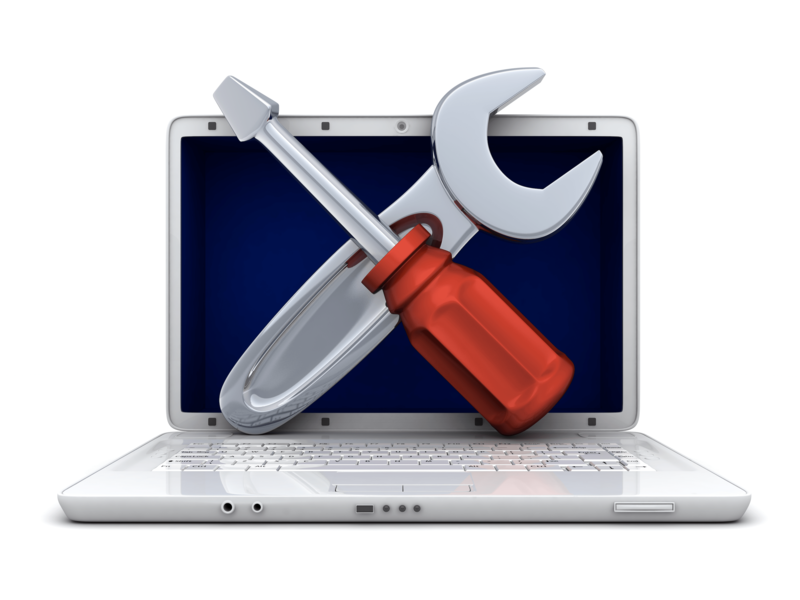 Install and update all the device drivers as this helps your system work better. This is the fundamental step after purchasing the system. Follow the steps below for the setup connection. Tear the tape on top of the packaged box. Remove the monitor, system and all other peripherals from the box. Keep the manual or documentation aside. Place the monitor on a desk and the CPU next to it. Position all the other peripherals near the monitor. Identify the monitor cable in the box. Plug in one end of the cable to the port on the rear of the CPU and the other end to the monitor. Check if the keyboard uses a USB connector or a PS/2 connector. For the USB connector- plug it into any of the ports on the system’s rear. For a PS/2 connector ; connect it into the purple keyboard port on the system’s rear. Follow the same procedure for the mouse too. If the system has an external speaker, plug it into i to the system’s audio port. Connect the speakers to the green port. If it is headphones, connect them to the pink port. The blue port is the line in that can be used with any types of devices. If the speakers have USB connectors, connect them to any USB port. In certain systems, speakers are attached to the monitor. Find the two power cables that came with the system in the computer package. Connect one end of the power cable to the system’s rear and the other end into a surge protector. Connect the surge protector into a wall socket. Find the Power button on the system. Based on the system name, it may vary. For a laptop, it may be on the left or right side of the keyboard panel. For a desktop, the CPU contains the power button on it. Press and hold it to switch on the system. Press the CTRL+DELETE+ALT buttons on the keyboard. Click the Restart button. Press and hold the Power button for a while to turn off the system. After a while, turn it on again. Setting up the system for the first time is an easy task. When you are installing a new system, it is necessary to connect the power cables to a power socket and other cables to connect the peripheral devices of the system. If you are unaware of setting up the system, refer to the user manual available in the shipping box. It contains all the steps on how to connect the peripheral devices. The user manual gives you a pictorial representation for easy understanding. After using the device for a period of time; it encounters various issues such as black screen error, RAM issue and other connectivity issues. It can be resolved with simple steps. Rebooting the system may be the main solution for the issue. Check if the Windows operating system is updated. Move to the Control Panel and verify if the auto update feature is activated. Type Windows Update in the search box of the Windows start menu. Click Advanced options. Select the Automatically download updates option. After updating the operating system, it is necessary to upgrade the installed software on your system. If the software is not up-to-date, a problem arises between the installed driver and the operating system. If you have installed security updates for the Windows system, generate a restore point in the system. Select the Start option. Click Control Panel-> System and Maintenance-> System. Select the System Protection button and click Create. Install the compatible drivers and use the Restore point to re-install the drivers and other applications. If any driver encounters an issue, revert to the Clean installation restore point to resolve the issue. Install a traditional antivirus software on your system to avoid virus or malware intrusion. Use a standard user account which secures your system from unwanted account settings or application. Set a password for your Windows account to avoid unauthorized access to the private files and documents. Mac users do not prefer into logging into the system each time . So Apple users boot the systems straight into the operating system. For enhanced security, deactivate the Automatic login. Select the Apple icon from the menu bar. Select System Preferences-> Users and Groups. Choose the lock icon and open the System administrator credentials. Select the Login options. Click Off from the Automatic Login drop-down menu. Close the System Preferences window. Type a complex password to reset your account. It is suggested to use 10 to 12 characters with a combination of upper and lowercase characters. Enable the built-in firewall to avoid unauthorized access to the Mac applications, programs and services. Choose the Apple icon from the menu bar. Click System Preferences-> Security and Privacy. Select the Firewall tab. Select the Lock icon. Type the system administrator credentials to do necessary changes. Click Turn on Firewall. The Mac system regularly releases security updates for the Mac operating system. Select Finder. Click Applications-> App Store-> Updates. Select the Updates All icon to download and install mac OS updates. Lock your system when you are not using it. As a backup solution store all your documents and folders to a different external drive.